Ten years after Mamma Mia! 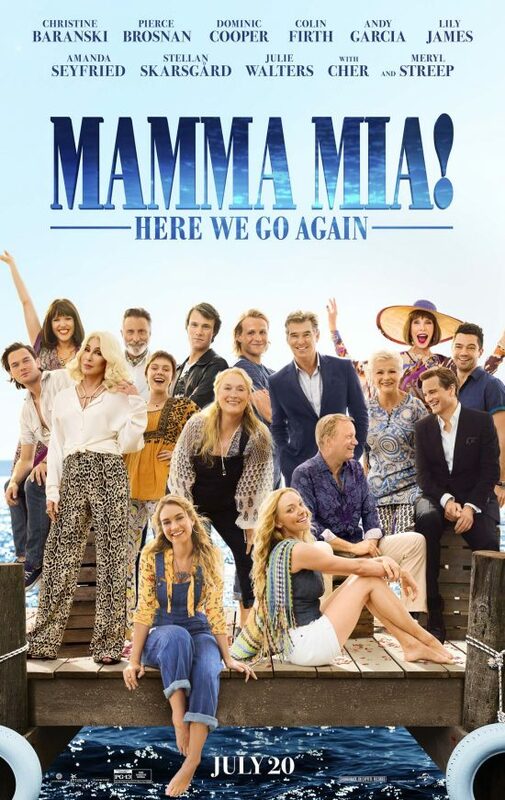 The Movie grossed more than $600 million around the world, you are invited to return to the magical Greek island of Kalokairi in an all-new original musical based on the songs of ABBA. With the film’s original cast returning and new additions including Lily James(Cinderella, Baby Driver), the musical comedy will open in UK cinemas on 20th July 2018. As the film goes back and forth in time to show how relationships forged in the past resonate in the present, James will play the role of Young Donna. Filling the roles of Young Rosie and Young Tanya areAlexa Davies (A Brilliant Young Mind) and Jessica Keenan Wynn (Broadway’s Beautiful). Young Sam will be played by Jeremy Irvine (War Horse), while Young Bill is Josh Dylan (Allied) and Young Harry is Hugh Skinner (Kill Your Friends). Mamma Mia! Here We Go Again is released in UK cinemas on 20th July 2018.